I have been following this project when it was announce and in a short time it was done. 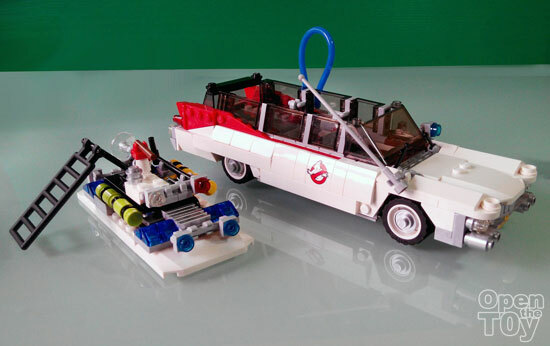 How can a person who living through 1980s not knowing how big is Ghostbusters? 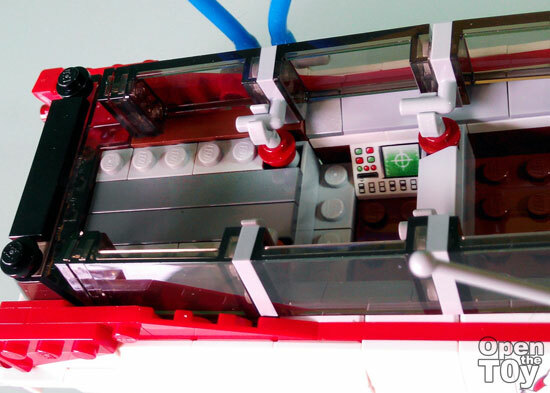 I would think for LEGO they would build the Fire station but I guess that maybe too high a price for regular collectors to get it. 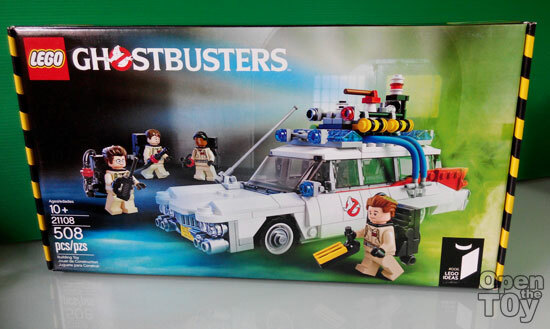 Then again this kit at Singapore market isn't that cheap as official LEGO stores in Singapore do not bring this in and collectors have to get through secondary market. Anyway enough of my talking time to Open the Toy!! 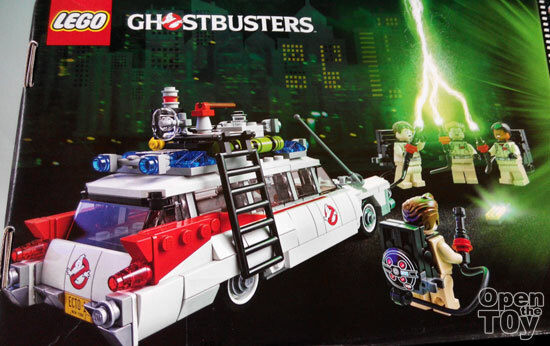 Firstly the packaging really pay tribute to the 30th Anniversary of The Ghostbusters. You can see they crossed the stream. What matter firstly beside the vehicle would be the four characters which they made a grand stand for them. 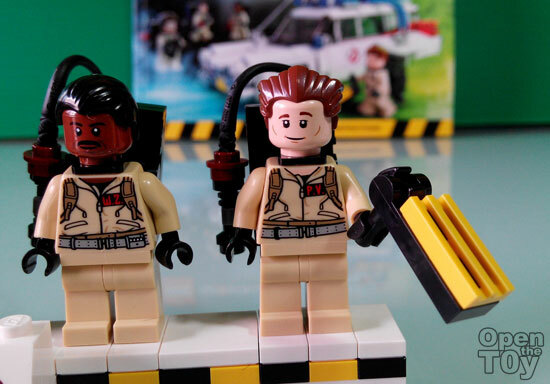 Egon is the one feature as maybe it has to do with his recent passing of the actor, Harold Ramis. The building instructions booklet are thick but they are in full colors. 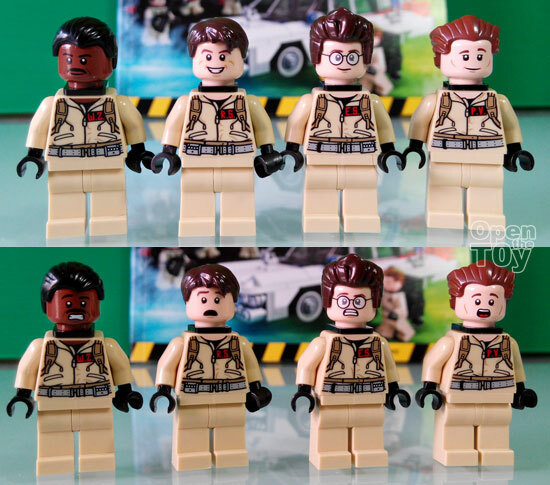 The four characters each has two facial expression. One which is cool and another when they are fearful. Each of their overall has their initials on it. 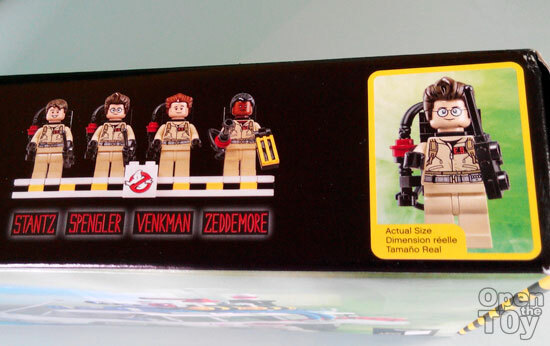 Apparently none of their shirt having any Ghostbusters logo. 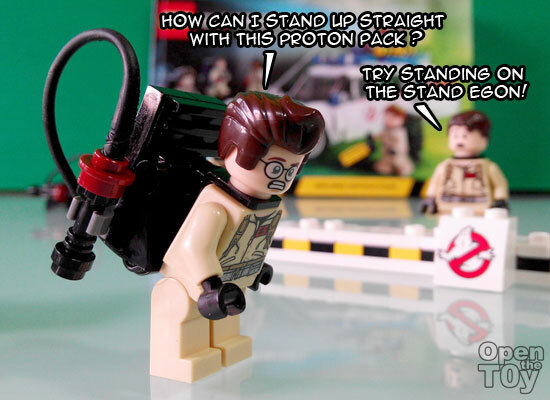 How can Ghostbusters not have their proton pack? So each of them have it but once equip on, they cannot stand straight as the weight of the pack pull them down the other way. That could easily solved by placing them in the official stand they created for them. For display purposes, this stand would look great! 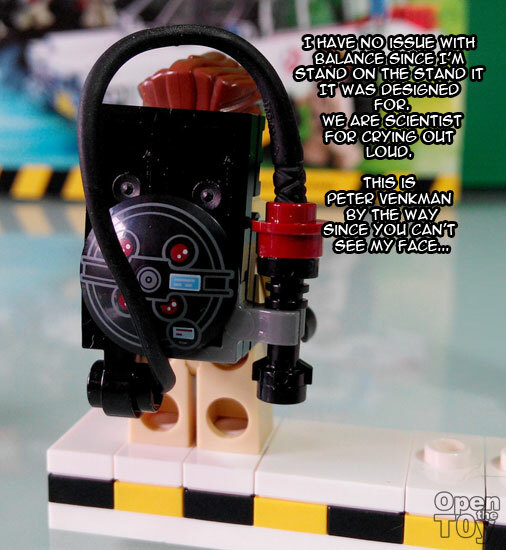 Peter is holding a Ghost trap if you have not noticed. Ray on the other hand hold the Proto blaster ready for action. Now let's come to the main attraction. 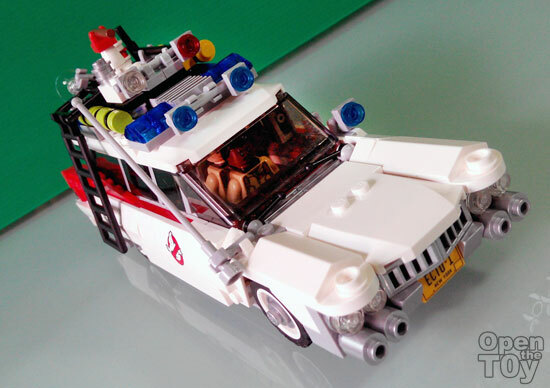 The Ecto-1! One look you know this is what it is. 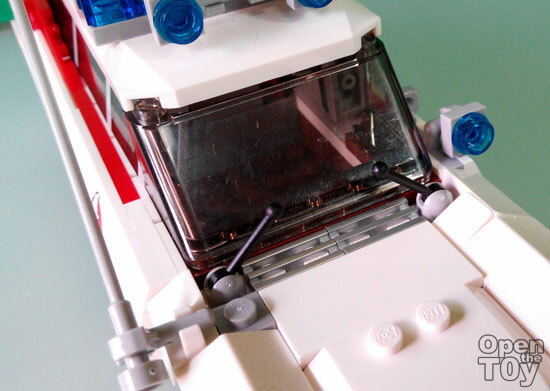 The iconic vehicle of the Ghostbusters and the only Ambulance which is cool and you be happy to see. 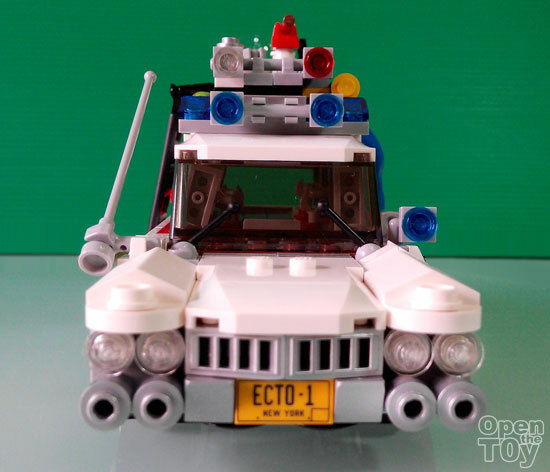 Here's the front view of ECTO-1 which you can see the long antenna on it's right and the blue spotlight on the left. 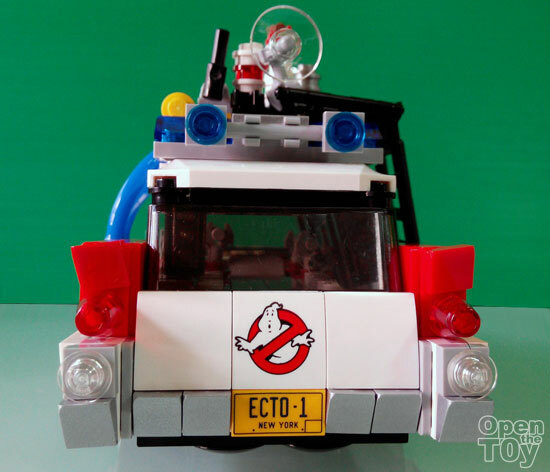 There are two windows wiper for ECTO-1. 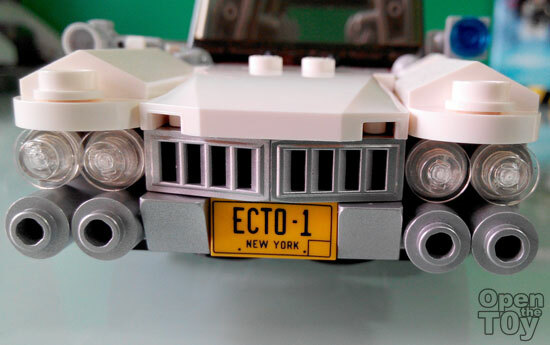 The license plate was from New York city and it spell ECTO-1. 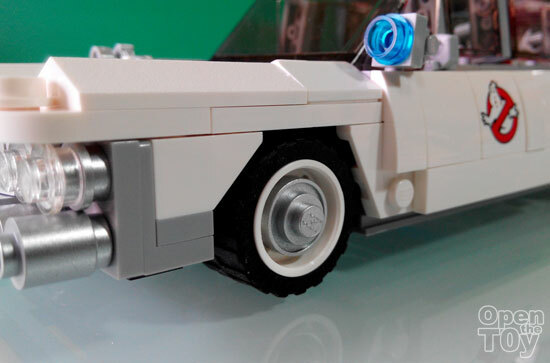 Each of the wheels will have a silver plate and it spelled LEGO on it. 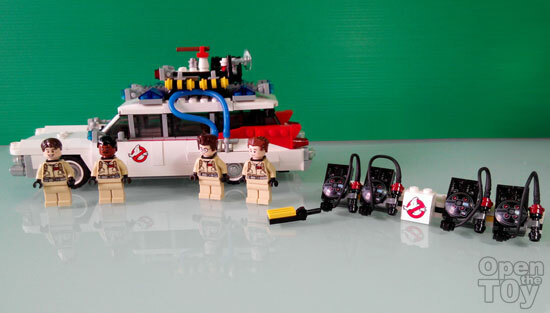 On the right side of the ECTO-1, you can see a latter and some high tech equipment which are mostly measurement signal equipments. In case you are wondering, none of the door from the side are designed to be opened. 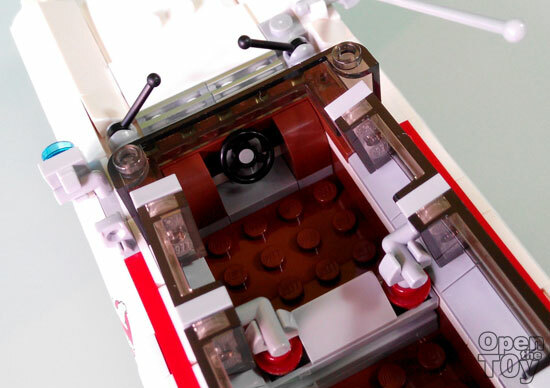 On the left you get to see more details including a rubber tube which loop to each other. I have no idea what that is tho. 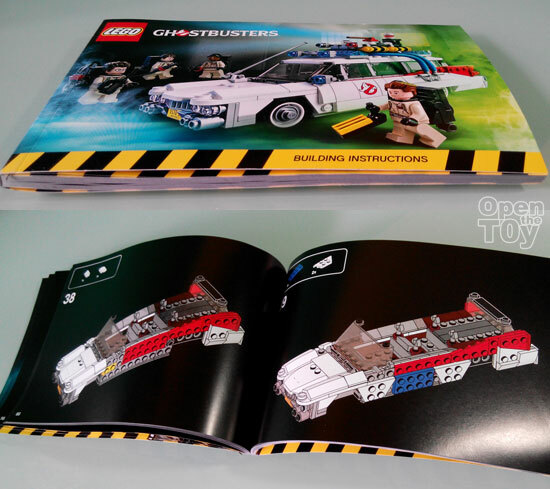 On the back, you see the Ghostbusters logo on it. 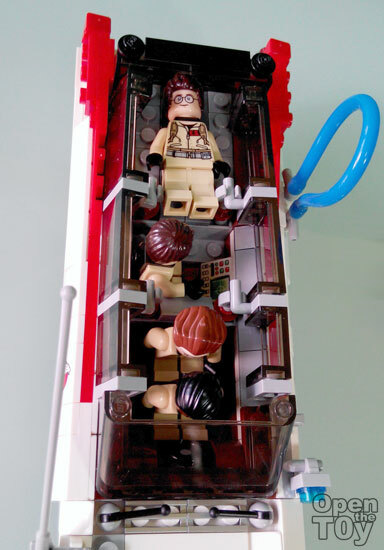 Sad to say the back booth was not designed to open as it is just resembling the built of ECTO-1. Here a closer look on the colorful equipments and the lighting on it. It not surprising to have the top roof of the vehicle to be removed as you may want to have access to the inner car compartments. 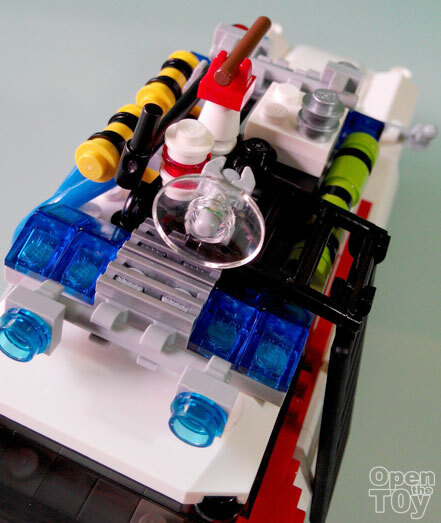 There is a steering wheel but it is in the center of the car. In fact the car unlike what one may expect to only have room to sit in for one person and not both of each side. In the middle there is a computer screen and a high platform for the booth. 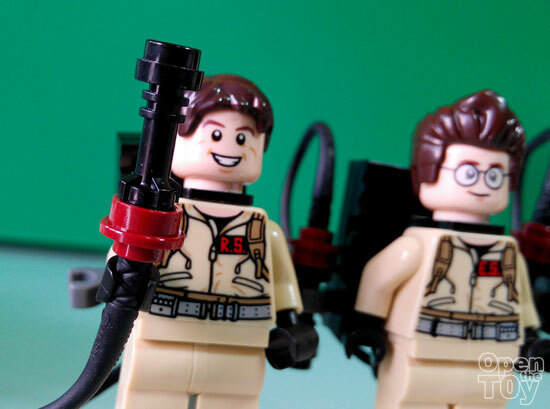 Now you may be wondering can all four characters fit to ECTO-1? The answer is yes but you need to compromise in some way. Here is what I found out by experiment. Here is it! Can you see them in the vehicle? Ready to know how they were fitted in? Well here is the truth. You get to see Winston, Peter and Ray sitting while Ego lying down on the job. Why Ego was made to lay down? Because his hair is too tall for the roof to be fitted in even though he is made to sit down. Thus he has to lay down. 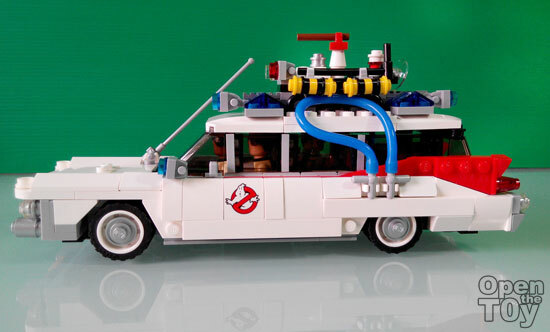 If you are wondering if any proton pack can be fit inside the ECTO-1 with passengers, the answer would be no. Nonetheless for display purpose and basic playing, I feel this playset achieved it purpose. 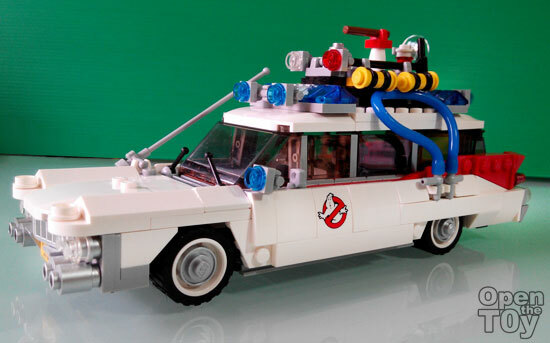 Although some Ghost like slimer would be a good add on but that is just a good to have. If I would add on, I think some LEDS would be better but this is after all LEGO base so this is good enough. This should one of the best combination u ever wanted. 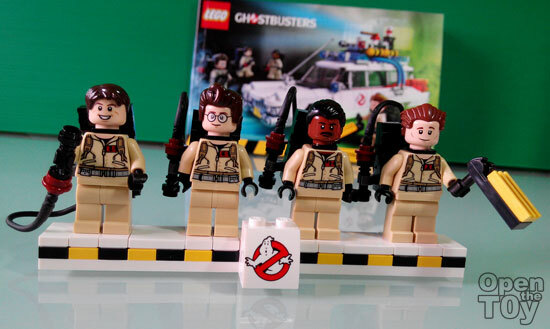 I could tell the excitement and passion from yr writing the fact that u like both Ghostbusters & LEGO. The ECT0-1 sure a is hot set and the figures and accessories are adequate except Slimy like u mentioned. I know he's the iconic one! 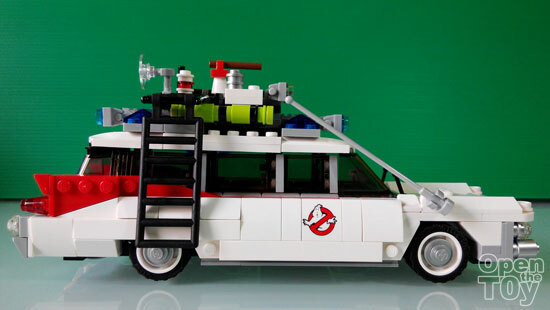 I was hoping there is a Firestation of the Ghostbusters that fit this Ecto-1 inside as that will be awesome!